End customers will find Tilda products online and in many lovely craft and quilt shops around the world. For questions about products, please contact your retailer. To find your retailer, contact your closest wholesaler on the above map or in the list to the right. 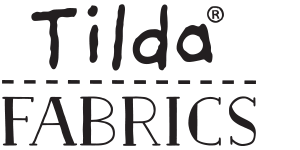 Tilda Fabrics works towards the wholesale market. If you wish to sell Tilda products in your shop, one of our dedicated wholesalers will be happy to help you. Please find and contact your closest wholesaler on the above map or in the list to the right. If you are interested in working with the Tilda brand, please send us a message and we will be in touch.